Unlike previous years when we always had Grandma's birthday dinner at the usual Boon Lay Raja restaurant, located opposite Jurong East station, this year we decided to have a change of venue, surprisingly. 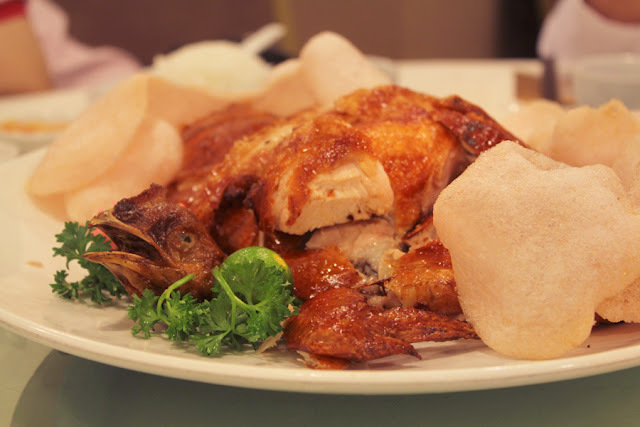 We are Cantonese, you see, and Grandma always insist that we stick to our own cuisine and that is why Moi Lum restaurant seems to be the perfect alternative. With roots sinking back in the 1920s, Moi Lum Restaurant aims to bring traditional food quality while keeping up with modern tastes to cater to different walks of life. 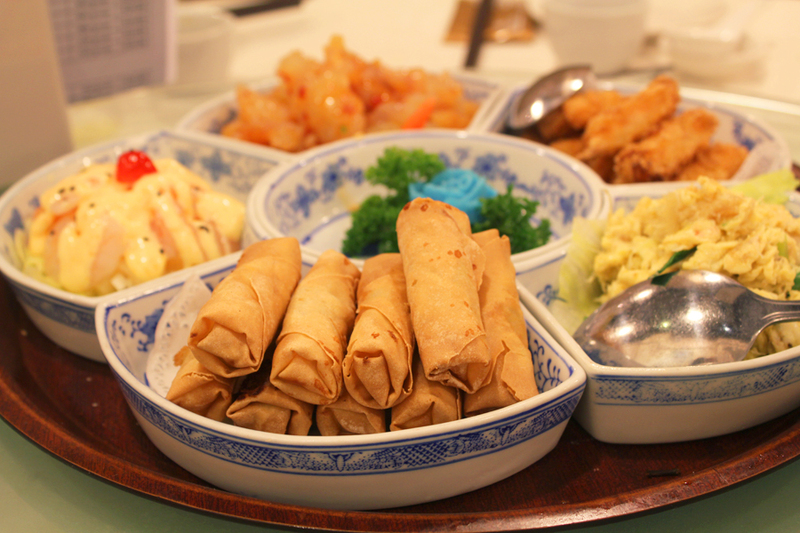 Personally, the appetizers or better known as the "cold dish/plate" in Chinese, was my favourite. For one, it is presentable enough like how every opening dish should looked like. Secondly, the subtle flavours and textures of the assorted dishes was a delight to the palate, and readied my appetite for what is to come. Please do note that the cold dishes differ from set meals to set meals depending on pricings. Our dinner set meal included their restaurant speciality, Majestic Crispy Roast Chicken - tender, juicy white meat lined with a thin layer of fats and crispy brown skin. On a nut shell, the dish was a tad bland especially at the breast area, but was fixed by a sprinkle of salt and freshly squeezed lime juice. It is also come complete with an abundance of crunchy crackers. The veggies were pretty bitter without the semi-sweet oyster sauce. 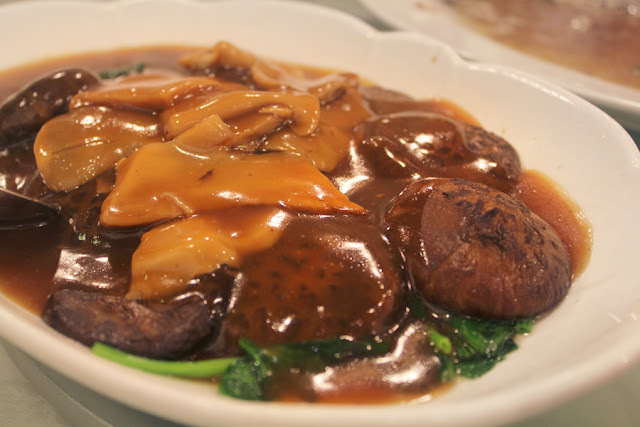 However, the whole mushrooms paired with braised abalone slices was just good enough to save this dish. Seafood Golden Pockets were such adorable bites, if you still have no idea what does it look like, it is actually made in resemblance of sacks of money, while the tempura scallops are made to look like golden coins. How auspicious does this dish sounds.. Feeling rich already? Besides dinner sets, Moi Lum also serves a series of a la carte food items and affordable set lunches (with drinks and desserts) as well. Conclusion? Not the best Cantonese cuisine out there, but definitely worth a try. Carrot Cake is something not to be missed in authentic Teochew cuisine. 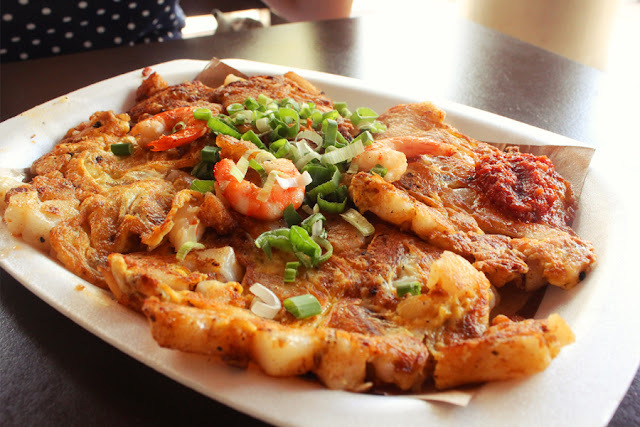 Also known as "chai tow kway" in the language, it is made with cubes of radish cake, stir-fried with eggs, preserved radish and other assorted ingredients, such as dried shrimps and chopped spring onions. Cycling down East Coast Park on a hot sunny morning, a bunch of friends and I decided to get some quick bites, as well to quench our thirst with ice-cold sugarcane juice. So there was this plate of fried carrot cake (S$3.00) that my dear friend, Jesline ordered and little did I know, it was voted in a contest by Citygas and Shin Min News Daily as one of the top eight carrot cake stalls in early 2011. The chefs at Lagoon Carrot Cake really know their stuff well - carrot cake and eggs pressed down and fried together till lightly crisp and golden brown, which brings along a strong savoury fragrance. Unlike the common ones, their carrot cakes are less moist and slightly more starchy. The fresh shrimps (additional S$1) and spring onions added an extra oomph, while the homemade chilli brought the dish to another level. For health gurus, it is definitely worth putting your diet plans aside for once, and just enjoy this plate of sinful goodness. 1. Preheat oven to 200 degrees. 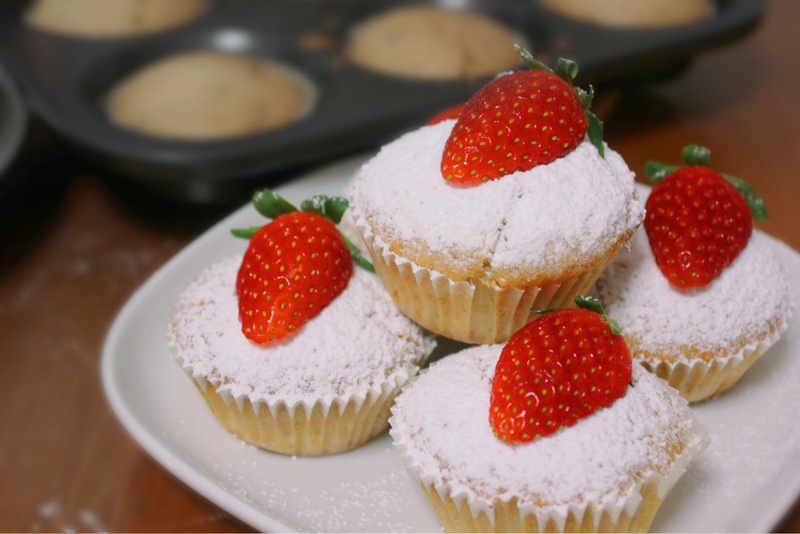 Line muffin tray with cupcake liner. 2. Stir together flour, sugar, chocolate chips and sultanas/raisins in a large mixing bowl. Make a well in the middle. 3. In a small bowl, stir in milk and oil together with the lightly beaten egg. 4. Pour all at once into the well in the flour mixture. 5. Mix quickly and lightly with a wooden spoon. Do not over-mix. 6. Spoon batter into cupcake liners until ¾ full. Bake for 25 mins, or until golden. 7. Transfer to cooling rack to be cooled completely. 8. Using a fine sieve, dust icing sugar on top of the muffins. 9. Top with a halved strawberry. 1. Only top the muffins with halved strawberries before serving. The moisture doesn't mix with the icing sugar well. 2. Substitute the chocolate chips and raisins, with other variations, such as 150g of dates and 175g of blueberries. 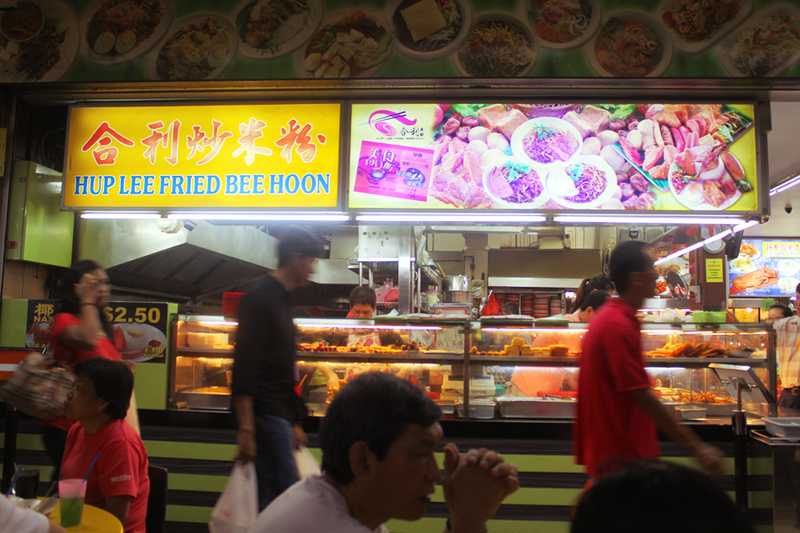 Economic fried bee hoon and nasi lemak are dishes known by many. For me, it is one of my favourites and the reason is simple - you spend a few bucks to enjoy a wide selection of dishes (you might want to think it as a mini personal tze char.) While stalls of this particular speciality have populated Singapore over the years, it is debatable which reigns over the rest. We happened to be in Chong Pang city, a precinct located at Yishun neighborhood recently and yes, the highly acclaimed Chong Pang Nasi Lemak came to mind. However, it was a tad far for our hungry stomachs, hence girlfriend suggested that we settle on the nearby Hup Lee Fried Bee Hoon instead. And we did. 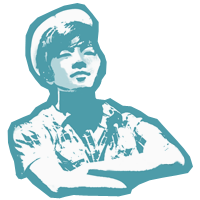 Although not as famous as the former, Hup Lee was featured in televisions programmes on many occasions, as well as several magazine's food pages. Equipped with an array of a la carte items, such as fried chicken wings, otahs and Taiwanese sausages, one would be spoilt for choice. 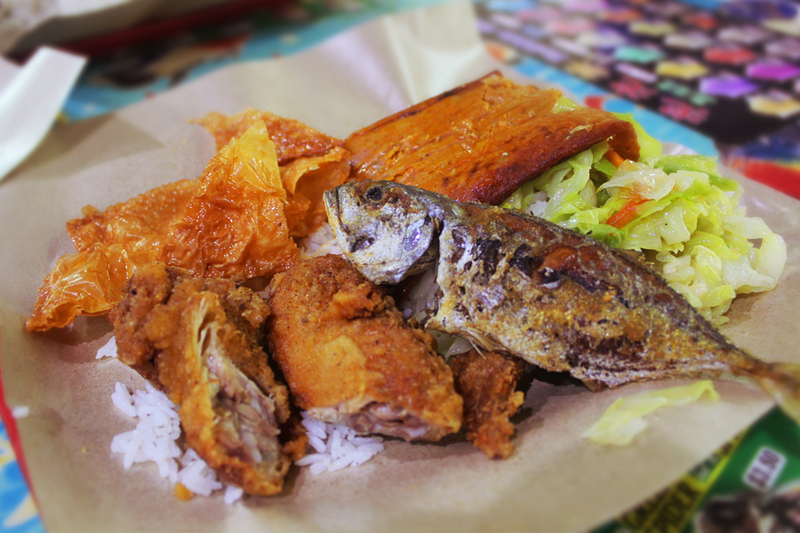 So, here was my pick - fragrant Nasi Lemak rice with fried chicken wings, beancurd skin, kuning fish, spicy otah, cabbage and topped with a pile of homemade chilli (S$5.00). The kuning fish and cabbage were nothing to rave about, however I'd say that the otah and chicken wing were pretty impressive, especially the wings which had an extra crispy punch to its skin. 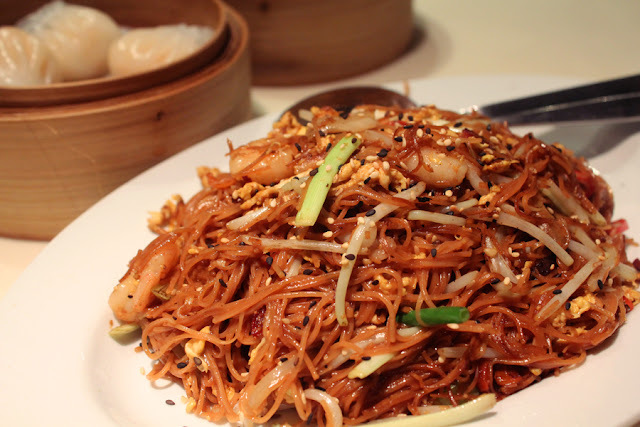 And obviously, fried bee hoon is at its best at Hup Lee. Unlike the usual ones that were excessively drenched in oil, Hup Lee's version was just sufficiently greased, without making the dish too oily. Perhaps it is difficult to explain in words, why not head north and try it yourself? Just do not mind the really long queues during peak hours, but again, the queues clear up quite fast due to their efficiency. Recently, my distant relatives from Malaysia came over to visit my family, as well as to take the opportunity to tour around our little island. Being their "tour guide" for the entire trip, food - especially traditional Singapore cuisine is something not to be missed on the itinerary. The first places that come to mind for good, yet affordable food are hawker centres and food courts, such as Food Republic - an upscale food court by Bread Talk, which offers popular international cuisine. 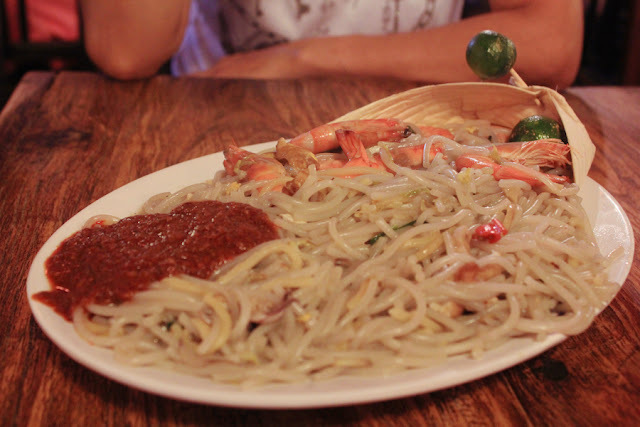 Besides the usual scrumptious foodfare like Hainan chicken rice, laksa, satay, roti prata (and the list goes indefinitely), Singapore's version of Hokkien Mee, or prawn noodles is also a must-try for any tourists, and the straw-hat chefs at Thye Hong Hokkien Mee definitely know how to whip out a plate of oh-so-good Hokkien Mee, set upon a dried banana leaf. The white/yellow-paired noodles were nicely cooked, being just al dente with the right firmness and texture, and is drenched in plenty of flavourful stock, which makes licking the plate so irresistable. It is then topped up with fresh juicy prawns and squid, as well as the usual add-ons of lime juice and homemade chilli. Prior to online research, most diners had mixed reactions towards the chilli, some complained that it does not pair with the noodles, some complained that it is not spicy enough, but for me, I thought that it was alright - nothing to be make a fuss about. What amaze me the most is the chef's ability to cook a big wok's amount of Hokkien Mee (S$4/6/8). It is definitely not simple to control the quality especially at such huge portions, but I'd say that they did it quite well (although the last plate of the batch might be softer.) Therefore, if you missed the batch, you would have to wait up to 15 minutes. But again, peak hours might be an ideal time to visit Thye Hong to ensure that there is a fresh batch of piping hot noodles every time. Apart from the traditional toast sets and fried dough fritters, Lor Mee (鹵麵), is next in line when it comes to my favourite breakfast bites. 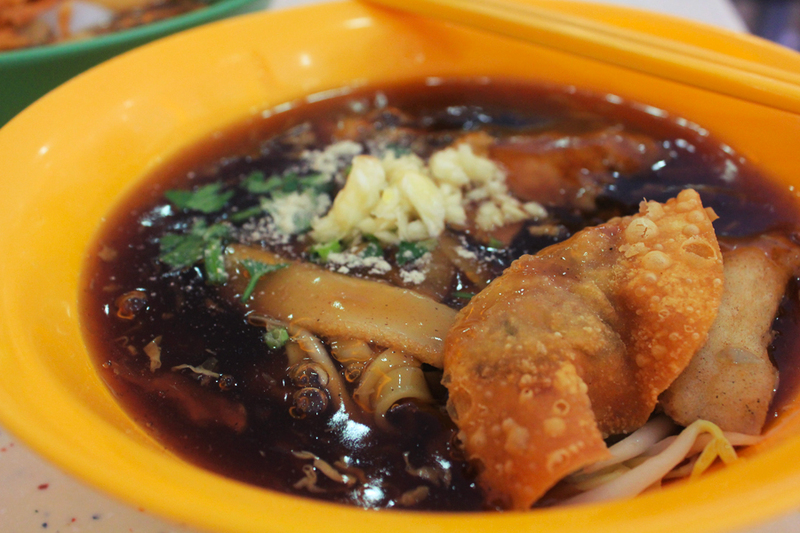 The Hokkien-inspired noodle dish is served in a thick dark gravy, made of corn starch, spices, eggs and usually comes with various ingredients such as ngoh hiang, fish cake, meat dumplings and braised egg. It is best eaten with the usual condiments - garlic, chinese parsley and chilli, (vinegar too, but not for me), as it enhances it's taste. Although traditionally served with fried fish toppings, different adaptations and even methods of cooking have since been adopted by the many stalls, providing diners a wider variety of choices and selections of the original dish. If you are looking for a good bowl of Lor Mee (or rather, any other local cuisine) in Singapore, do look no further than the highly acclaimed Tiong Bahru Market and Food Centre. After recent renovations, the hawker centre now serves tasty and hygenic food - in a much cleaner, spacious and satisfactory environment. It also features two of the best stalls in town if you want to have a bite of that starchy goodness. More often than not, following your kiasu instincts and lining up for the longest queue is actually the best method in discovering great food. Well.. That is if you do not mind waiting up to 30 minutes during lunch hours, just to slurp down a bowl of noodles from Tiong Bahru Lor Mee. It is not difficult to understand why the long queue when you get your hands on their Lor Mee, the noodles are of the right texture, without being overwhelming chewy, and the braised gravy - the soul of the dish, is thick, smooth and of the right consistency. 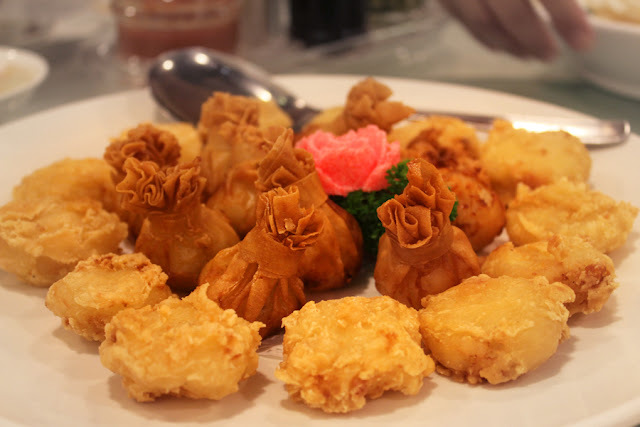 It is served with the usual fried wanton, fishcakes, braised egg, ngoh hiang and crunchy beansprouts. Their Lor Mee comes in regular and large sizes at S$2.50 and S$3.00 respectively. A close competitor of the same speciality that has queues as long, Lor Mee 178 (178 probably means "prospering in wealth together" in Mandarin) differentiates itself from the rest by adapting shark meat nuggets into their Lor Mee. 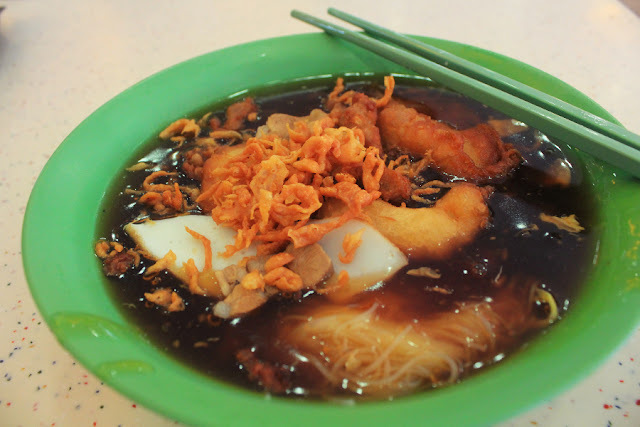 Besides the usual ingredients, they also serve it with a handful of fried fritters, which most Lor Mee stalls have long gone subtracted it away, and that is a plus point to 178. Although it turns soggy (or rather, less crunchy) when drenched in the gravy for too long, the fried nuggests still retained its soft flossiness texture, and the coating of gravy actually enhances its flavour. The price sets at S$2.00 for a regular-size, and S$3.00 with added shark meat nuggets. 178's usage of traditional fried fritters and shark meat nuggets is a plus. 178's gravy is smoother and lighter in texture, but loses out in terms of flavour. TBLM's noodles are more well-cooked and it is better in texture. 178's is more value for money, comparing pricing to the serving size/ingredients. It is quite a never-ending debate to decide which Lor Mee is better, but if I have to go with one between the two, it would be Tiong Bahru Lor Mee. Les Amis Group is one of the food & beverage giants that has the finest restaurants locally, with award winning concepts. ranging from high end Japanese restaurants to fine dining French cuisine including Aoki, Peperoni Pizzeria and Au Jardin. Besides raising the curtains of Casa Verde, a casual Italian restaurant at the Gardens by the Bay, Canele Patisserie Chocolaterie is introduced to the gastronomic scene of Singapore's newest attraction as well. With a colorful collection of signature macarons lining the front shelves and savoury bites fresh from the kitchen, dessert lovers are in for a pleasant surprise when they visit the French-inspired chocolate boutique at Gardens by the Bay. Tea and coffee connoseiurs are also treated with an exquisite selection of finely brewed English tea, as well as artisanal coffees - a good cup of Cappucinno (S$6.00) never fails to make my day. Canele's baristas definitely know just how to hit the right spot that is longing for caffeine. Flowers of the Sea (S$12.00) was my choice for sweet crepes, partially because it rhymes with Gardens by the Bay and has the most unique name, when I visited Canele recently, and boy, what a beauty it was. 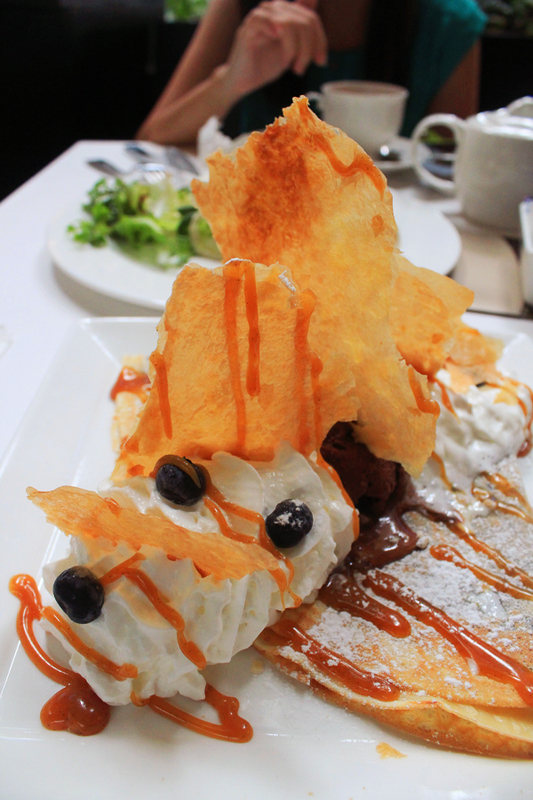 The nutella-filled crepe with chocolate ice cream, filo pastry (which reminded me of tissue prata), whipped cream and blueberries was drizzled with a good deal of salty caramel sauce and powdered sugar - and yes, it tastes as good as it looks. 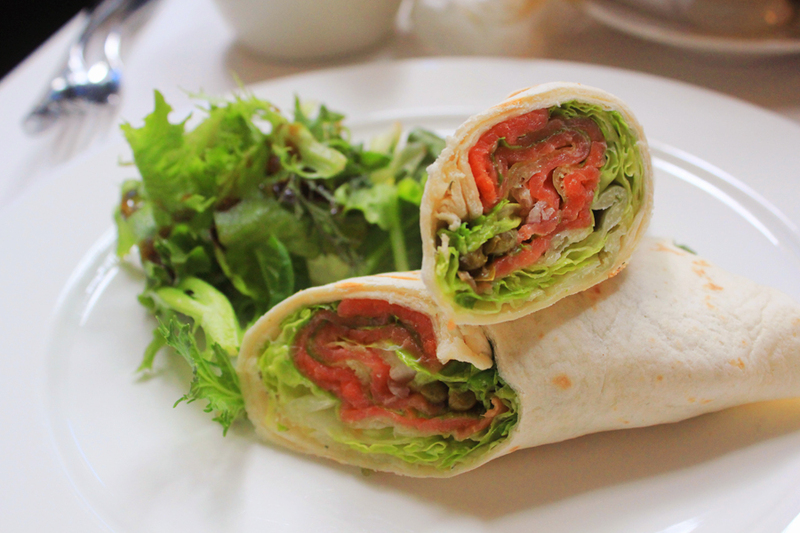 Besides desserts, Canele is known for its savoury main courses and sides as well, such as gourmet breakfasts, Big Bang Turkey crepes and, Smoked Salmon Wrap (S$8.00) - Premium smoked salmon over dill cream cheese with shallots, cucumber, Romaine lettuce, capers, and wrapped in a tortilla skin. It comes complete with fresh garden salad. Being very much satisfied after the visit, I will definitely be back to savour other treats Canele has to offer, for starters, their gourmet breakfast sets and other sweet crepes sure look tempting enough! Before meeting my girlfriend, I did not even know that this specific type of powdery shaved ice existed - and that would had been a total waste. 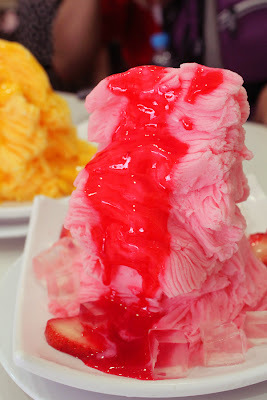 Nowadays, instead of your typical ice desserts, such as ice kacang and chendol, people are having bowls of towering shaved ice, which are usually flavoured and topped up with syrup, diced fruits and jelly cubes. Well, with all the new desserts stalls starting to appear in the local food scene, you might ask, "where is the best dessert place, or has the best snow ice?" 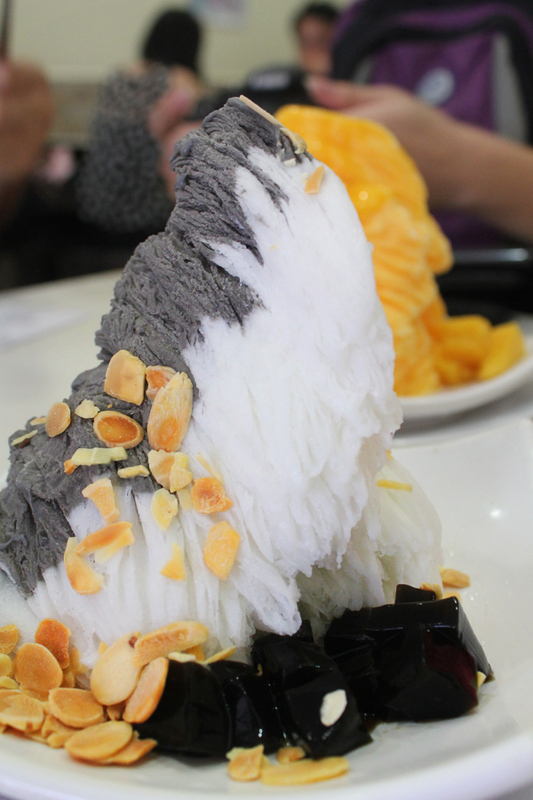 Although the answer might be ambigious to some, Mei Heong Yuen, or better known as 味香园 is one dessert place to head for. Being featured in several newspaper articles and television programmes, Mei Heong Yuen is also proud to be one of Singapore's Chinatown Heritage Brand, an initiative by Chinatown Business Association to introduce long established heritage brand names to visitors. Despite being in business for years, its standard still remained the same, unlike some restaurants who slacked on their standards after quite some time. And, if you are still wondering why the name sounds familiar, the owner of Mei Heong Yuen also owns the famous Farmer Brand peanut - the logo features a farmer holding a spade and a bunch of groundnuts with the other hand. 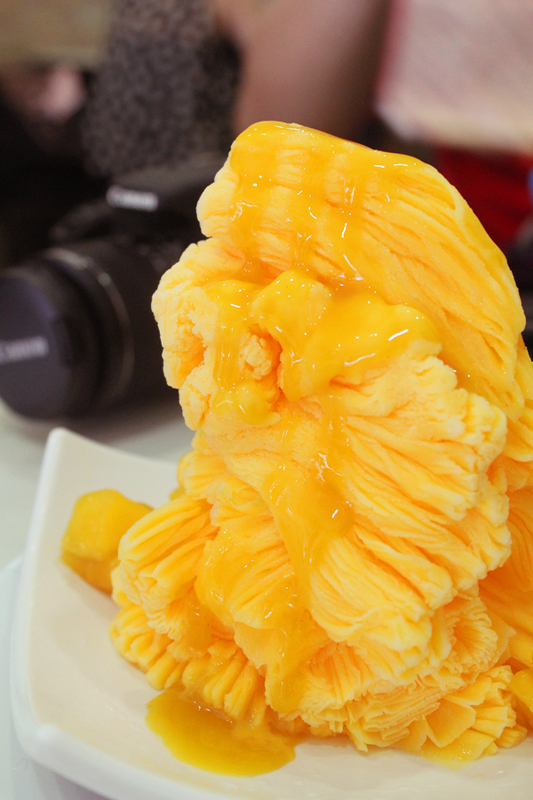 Shifting the focus back to the shave ice, Mei Heong Yuen has one the best ones in Singapore. Their Mango Snow Ice (S$5.00) is a good thirst quencher on hot days, with the flavoured ice matched with fresh mango puree and mango cubes. The strawberry version (S$5.00) does not lose out as well, being a good lover of the adorable-looking red fruit, I am bias towards to this shaved ice, paired with fresh strawberry slices and jelly cubes. Another favourite of mine - Yuan Yang Snow Ice (S$6.00), a perfect combination of black (sesame) and white (almond), which comes complete with roasted almond slices and grass jelly cubes. If you like the hot yuan yang paste, I am pretty sure you would take a liking to the cold version as well. Expecting no less from the owners of Farmer brand peanuts, Mei Heong Yuen is also highly acclaimed for their smooth Peanut and Walnut paste (S$3.00). Recently, Mei Heong Yuen has once expanded to fit the large crowds, and it is now occupying three shops allocation. On top of that, they do have another outlet at the basement of Ion Orchard as well. It is small and often over-packed, therefore if you're eating in a big group, do head to their Chinatown outlet. 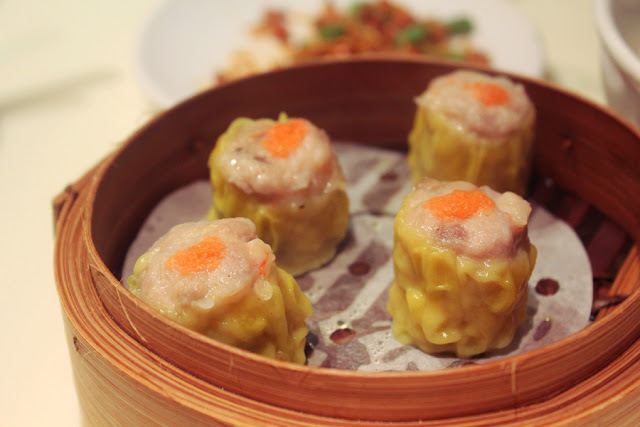 Everyone loves dim-sum, for I do not know someone who dislikes them. These delicate, mouth-sized artpieces are - in my opinion - the most incredible creations of the Chinese, and not without reasons. Each and every piece of good dim-sum is made out of the freshest ingredients with skilled and dedicated hands that were moulded through years of experiences. 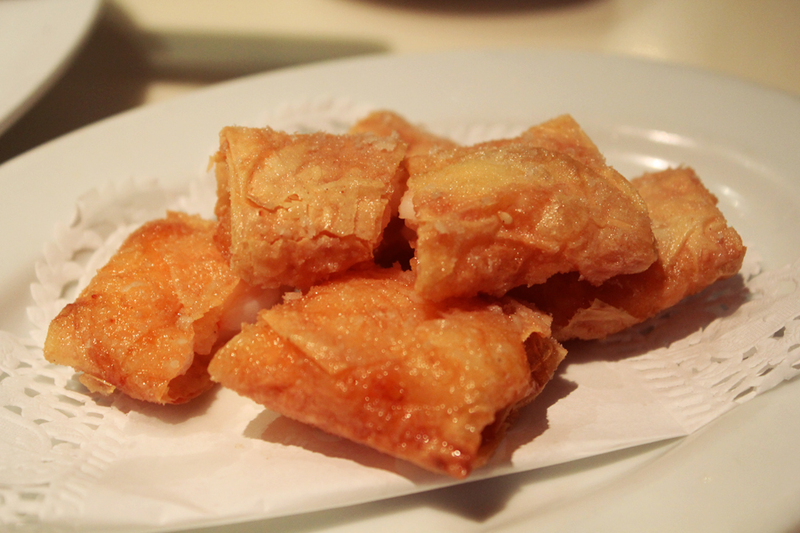 And in Zhou's Kitchen, a casual mid-range Chinese restaurant under Tung Lok Group, the chefs know how to do it well. Their rendition of the traditional siew mai was surprisingly good, as the use of mushrooms and fish roes gave the original flavour a refreshing twist. However, the King Siew-Mai from 126 Eating House still remained as my best vote. The Prawn Dumplings were good, but nothing to rave about. The prawns were juicy and scrumptous, but the foundation of a good dumpling - the skin were a little sticky and dry that proves to be a dissapointment. Research shows that egg tarts contains high sugar and fat content, and is possibly the worst food to snack on. But again, who could ever resist this oh-so-sinful treats? 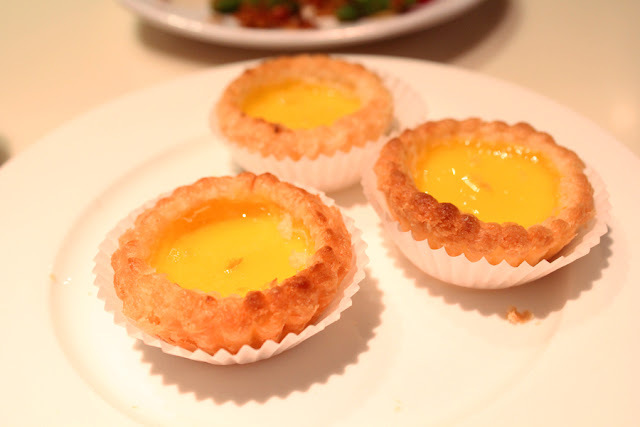 Their egg tarts is probably one of the best in Singapore, with soft and jelly-like egg custard filled in a basket of crispy and flaky skin. They are bite-sized as well, which makes things worse (in a good way) - you want to have more, and more in your mouth. Yang Zhou Fried Bee Hoon - noodles fried with assorted vegetables, scrambled eggs and fresh shrimps, was slightly oily, but not greasy at all. As a picky eater my grandmother is, you know the food is good when she wanted a second, and even a third serving. Fried Prawn Roll, which is encased with a thin crispy skin and filled with soft, juicy prawn paste, is a perfect side dish to go along with the Fried Bee Hoon, and great on its own anyway. 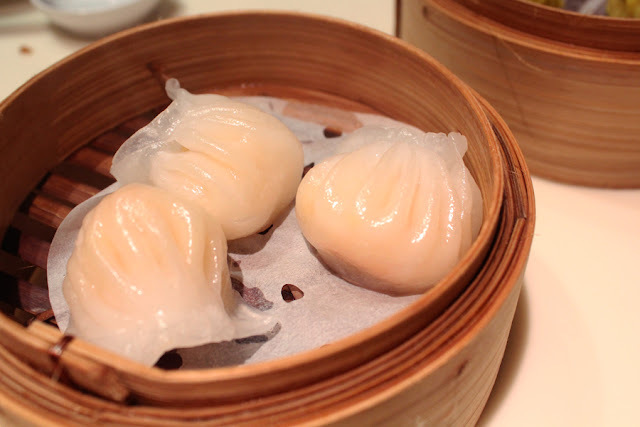 Zhou's Kitchen is definitely a place to head for, if you are looking for fuss-free, yet standard dim sum without burning a hole in your pockets. Good for family dinner as well.